Usually when you think of solar hot water, panels and a collector tank installed on a roof spring to mind – a traditional solar hot water system. But, you can also make heat pump hot water. A heat pump is a different way to use renewable energy to heat water – that doesn’t need solar panels! Heat pumps can save you a bundle of cash on your hot water bills, as they use approximately one third the energy of an electric water heater. Additionally, there’s generous rebates available making them an extremely economical option! How does heat pump hot water work? A heat pump is a little like a reverse refrigerator. It transfers the heat in the air outside of the unit to the water stored inside the heater through a heat exchange system. In the case of heat pumps, “heat” is a relative term as they will still work in very cold conditions* – at least -10 degrees Celsius, so it will still be generating hot water for you during winter nights. How is that possible? Buy online – same day shipping on stocked items! * External air is drawn into the heat pump system via a fan into an evaporator containing a special type of refrigerant, which is stored in piping. The refrigerant used is called R134a, which isn’t a CFC, so it doesn’t negatively affect the earth’s ozone layer. * R134a has an evaporation or boiling point of -26C; whereas water has a boiling point of 100C. Temperatures that feel very cold to us are still more than enough to make the refrigerant “boil”. The air that has been drawn into the system, which is far warmer than the refrigerant, turns the refrigerant from a liquid into a gas inside the heat pump’s piping. * A compressor then pumps the now gaseous refrigerant through a small valve, which compresses it; and as a result of the process generates a great deal of heat. * A heat exchanger transfers the heat from the heated refrigerant gas pipes to a tank where water is stored. * The temperature of the refrigerant has now dropped dramatically as the heat has been drawn away, so it returns to a liquid state and the heat pump cycle begins again. A heat pump produces between 3 – 5 times the amount of renewable energy than electricity required to power the unit. It’s an environmentally friendly hot water option given the reduction in greenhouse gas emissions through less energy requirements. 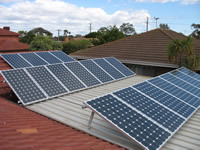 Ease of installation as a solar heat pump uses the same connections as an electric hot water system. *Energy Matters does not recommend installing heat pump hot water units in areas with low average temperatures. Although the units will work in cold weather, installation in cold climates will cause longer compressor runtimes which can lead to reduced unit life expectancy and greater energy consumption. Energy Matters do not recommend the installation of heat pumps in RECs zone 4 or the colder areas of Zone 3. Zones 1 & 2 are generally warm enough to enable efficient operation of heat pumps. The yearly average ambient temperature should be equal to or greater than 19 degrees Celsius. To determine your zone, please see our heat pump RECs and rebates page. The Clean energy regulator also maintains a list. The price varies depending upon your needs and location, but you can expect to pay up to a few thousand dollars for a good quality heat pump. However, the cost can be greatly offset as there’s generous rebates available, making them an extremely economical option! 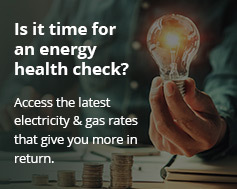 These rebates can be substantial, so talk to our heat pump specialists for the best advice on the type of equipment you’ll need and any incentives programs that might be applicable.